Tapper also asked about the John Podesta op-ed in the Washington Post, where Clinton campaign chairman castigate the FBI as slow to respond to the hacking of his email. Lynch defended the agency which reports to her, basically saying (in more diplomatic terms) He’s not involved in the investigation what the hell does he know. Well, what I can tell you is, this investigation was taken seriously from the beginning. This is an incredibly serious issue. I can’t comment on Mr. Podesta’s sources or where he gets his information or why he has that view. What I can say is that he’s not involved in the ongoing investigation, so he wouldn’t be privy to everything that would have been done or said to that. But, as I said, he’s entitled to his opinion. So — and I know also, because of his involvement with the campaign, he’s going to have a certain interest in this and a certain view of that. And so I — again, I allow him his opinion. Everyone has a great deal of respect for him, so I allow him that opinion. But I disagree with that, if that is, in fact, the characterization he’s trying to make. I think you’ve got to look at every investigation separately. You’ve got to look at every case separately, and you’ve got to allow for the fact that the way in which someone may be contacted isn’t indicative of the full relationship that they develop or the response that they may have gotten initially from that organization as well. 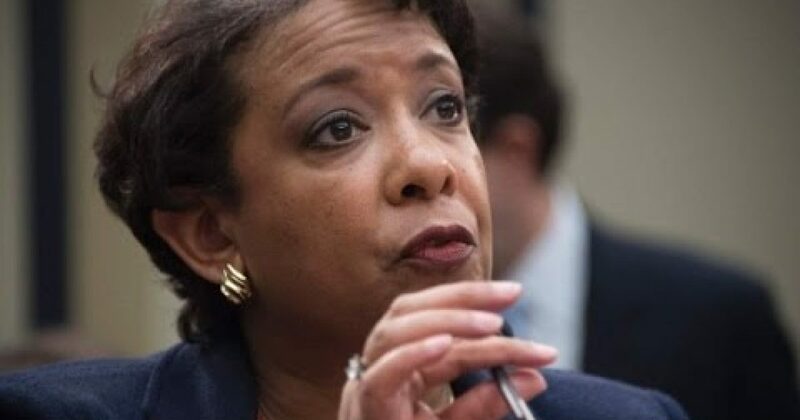 What Lynch didn’t say is that Hillary should be thanking God every day that the political ties of the Justice Dept. kept her from being charged. Watch this part of the State of The Union interview.